Shaibya and Ginbot 7: DMHIT Less! Now that Molla Asghedom has pulled the rag from underneath of Wedi Afom and Berhanu Nega what is in store for Berhanu and Isaias alliance going forward? What is the main message behind the DMHIT Operation? 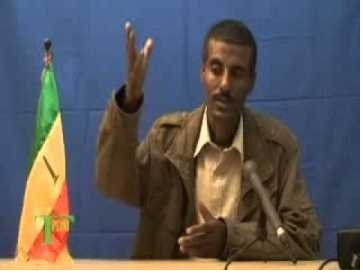 What is its significance to Ethiopian Politics? Will this deter those enemies from far who were planning to use DMHIT as foot soldiers or will they try one more time to assemble new foot soldiers to use? If So who is likely to fill the gap left behind in Eritrea? Will Eritrea continue its agenda of destabilizing Ethiopia after this operation and survive for long? We could ask you more but have your say and share your thoughts on the above issues before Extremists in Diaspora spin the news with side issues to undermine the event!